When they say your tests are positive for a disease just what do they mean? If it is a simple blood or urine test often they mean that the concentration measured is outside (above or below) some reference range. In my field of Kidney Attack (a.k.a. acute kidney injury: AKI) two tests of the same substance (plasma/serum creatinine) are needed a day or two apart . The difference in the concentrations is what is important. If the creatinine concentration has increased by >0.3 mg/dl within 48 hours or by more than 50% within a week then the diagnosis of AKI is made. What happens, though, when someone comes along with a new test? How do we know it is any better (or worse) than the original test? In my view what is required is that both the old and the new tests should be compared to a third, clinically relevant, variable. For example, a new prostate cancer test may be compared to the present (poor) PSA test by referencing both to the more definitive biopsy results. In AKI the reason the creatinine threshold of 0.3 mg/dl was included as diagnostic was because research(1) had shown this level of increase to be associated with a four fold increase in the likelihood of premature death. If you’ve seen any of my previous posts on my research you will know that I am interested in new biomarkers (plasma and urine proteins mainly) that could be used to diagnose AKI earlier than creatinine. While creatinine is a marker of changes in kidney filtration function, most of these new biomarkers reflect structural injury itself. An analogy is that movement of a finger hurt in a rugby tackle tells us if the finger is functioning, whereas an x-ray is needed to tell us if it is broken or not. 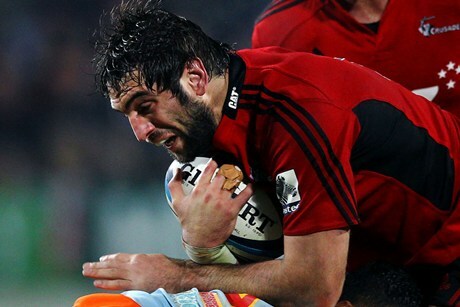 Sam Whitelock damaged his finger during a game. It had enough function to let him continue to play. X-rays later showed it was broken. My latest publication(2) describes a method to determine appropriate biomarker thresholds. It is quite simple. 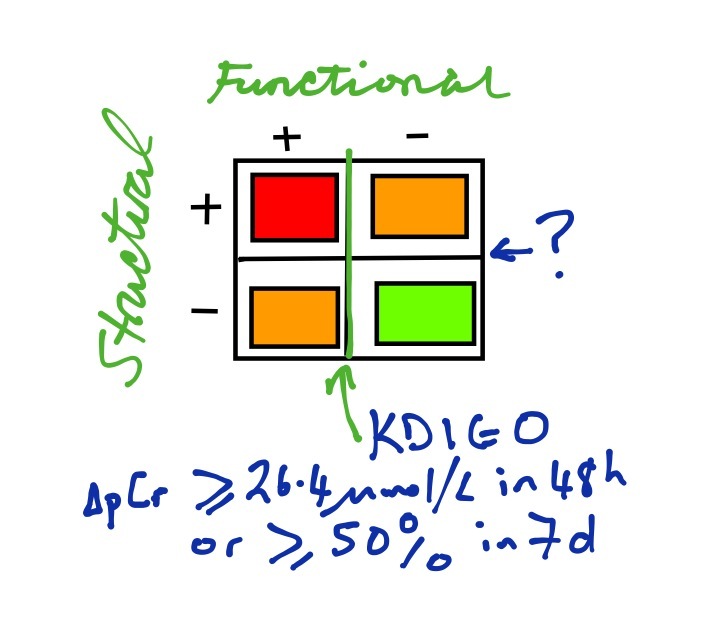 First, I determine the sensitivity of the creatinine threshold to predict a meaningful clinical outcome – the need for dialysis or death within 30 days. The sensitivity is simply the proportion of all those who end up having the outcome who had a measure above the threshold. I then take that sensitivity and work out what the biomarker threshold needs to be in order to yield that same sensitivity.